As the chair of the Women’s Caucus, Scheuerman will lead the committee in creating opportunities for women within the WAJ. Herrling Clark Law Firm, Ltd., is proud to announce that attorney Kristen S. Scheuerman is serving as chair of the Wisconsin Association for Justice’s Women’s Caucus. She will head the caucus for one year, having previously served as the vice-chair. As the chair of the Women’s Caucus, Scheuerman will lead the committee in creating opportunities for women within the WAJ. The Caucus’s tasks include encouraging female personal injury attorneys to join the organization, identifying women to serve in leadership positions, and providing networking and mentoring services. Appleton, Wisconsin, lawyer Kristen Scheuerman is a partner at Herrling Clark Law Firm, Ltd., practicing personal injury litigation. She joined the firm as an associate attorney in 2011 after receiving her juris doctor from Marquette University in 2010. Besides her work with the Women’s Caucus, Scheuerman sits on the Board of Directors for the WAJ, is a program chair for the Education Program Committee, and serves as a trustee for the Justice Fund. Scheuerman was elected onto the Wisconsin State Bar’s Litigation Section Board in 2016 and is currently serving a one-year term as treasurer. Scheuerman was recently named to the American Institute of Personal Injury Attorneys’ 10 Best Attorneys list for Wisconsin in 2018. 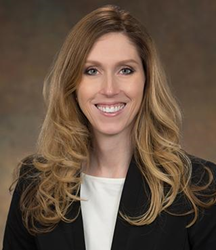 She was selected as one of the Wisconsin Law Journal’s “2016 Women in Law” honorees, was named to Super Lawyers’ Rising Stars list in Wisconsin from 2014 to 2017 and was named a Top 10 Attorney Under 40 for Wisconsin by the National Academy of Personal Injury Attorneys in 2015 and 2016. The WAJ is Wisconsin’s largest voluntary bar association, made up of attorneys working in the civil justice system. Herrling Clark Law Firm, Ltd., provides legal representation for individuals and businesses throughout Northeast Wisconsin. Founded in 1959, the firm handles cases involving family law, personal injury, business law, and wills and trusts. Clients can visit one of the firm’s four offices in Appleton, Green Bay, New London, and Oshkosh. To schedule an initial consultation, call 920-739-7366 or visit https://www.herrlingclark.com.